Board President Denny Evans is pictured during the Board Member Appreciation event on Monday. Students made posters to show their appreciation for the board members. Board members are pictured during the board member appreciation event. Students made cards and wrote letters to show their appreciation for the board members. 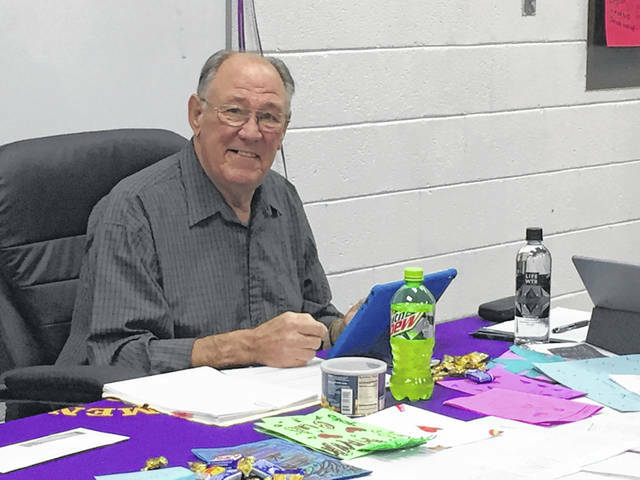 RACINE — Denny Evans was selected as the President of the Southern Local Board of Education during this week’s organizational meeting. Brenda Johnson was named the board’s vice president for 2019. Evans and Johnson were also president and vice president, respectively, in 2018. Johnson was also appointed as the legislative liaison to the Ohio School Boards Association and as the delegate to the Ohio School Boards Association Annual Conference. Rich Wamsley was selected as the alternate to serve as the legislative liaison, as well as the SLEA negotiations representative. Johnson was appointed as the OAPSE management committee member. The board authorized the treasurer to establish the Board Member Service Fund not to exceed $5,000 for expenses incurred by board members in the performance of their duties for the 2019 and 2020 fiscal years. The board approved the treasurer’s faithful performance bond in the amount of $20,000 with Reed and Baur Insurance Agency, as well as the board president’s bond in the amount of $20,000 with Reed and Baur. Authorize the Superintendent or designee to administer all federal programs in compliance with local, state, and federal regulations. (Required by state and federal regulations). Regular meetings of the Southern Local Board of Education will be held on the last Monday of each month at 6:30 p.m. in the Kathryn Hart Community Center. The January regular meeting immediately followed the organizational meeting. During the regular meeting, board members were recognized for Board Member Appreciation Month. 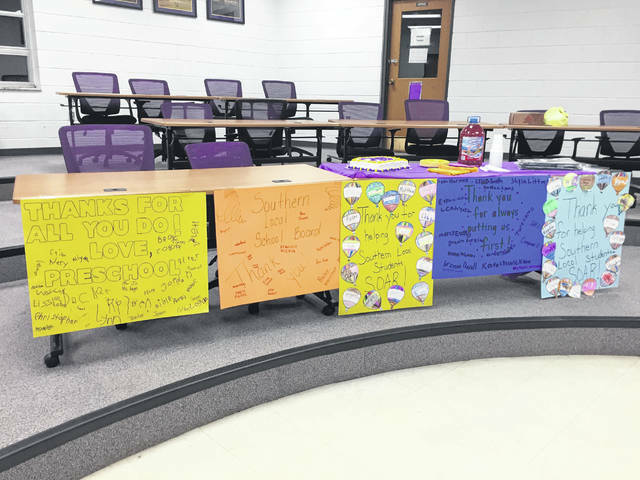 As part of the appreciation, students made posters, wrote letters, and made cards for the board members. More on the regular meeting will appear in an upcoming edition of The Daily Sentinel. https://www.mydailysentinel.com/wp-content/uploads/sites/14/2019/01/web1_1.17-Southern-1_ne2019116121117906.jpgBoard President Denny Evans is pictured during the Board Member Appreciation event on Monday. 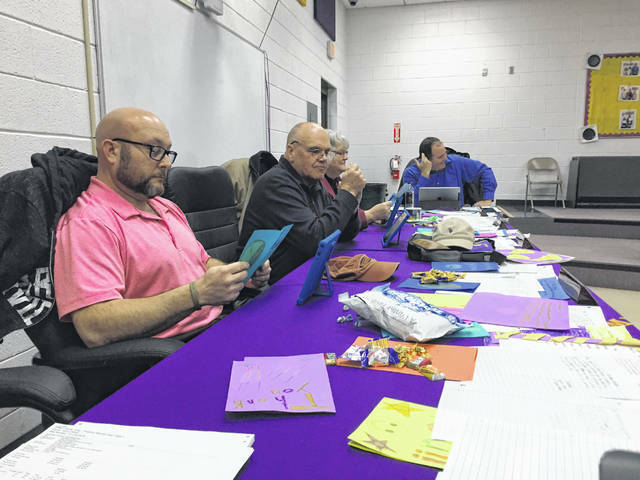 https://www.mydailysentinel.com/wp-content/uploads/sites/14/2019/01/web1_1.17-Southern-2_ne2019116121120415.jpgStudents made posters to show their appreciation for the board members. https://www.mydailysentinel.com/wp-content/uploads/sites/14/2019/01/web1_1.17-Southern-3_ne201911612112367.jpgBoard members are pictured during the board member appreciation event. 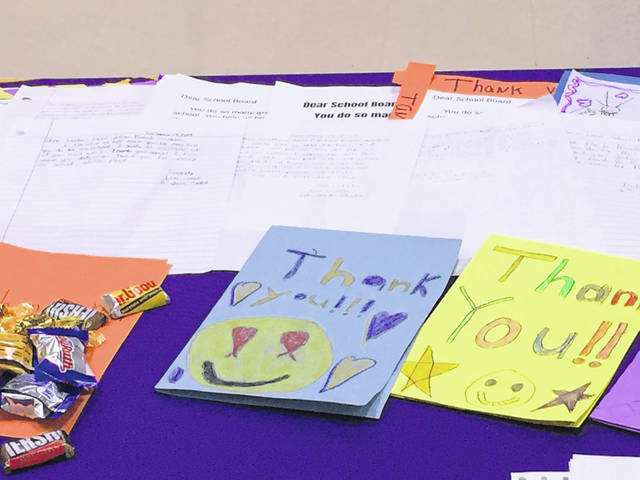 https://www.mydailysentinel.com/wp-content/uploads/sites/14/2019/01/web1_1.17-Southern-4_ne2019116121125292.jpgStudents made cards and wrote letters to show their appreciation for the board members.